Proudly Serving Burnaby, Vancouver and surrounding areas. Here to help! "As your REALTOR, my duty of care is to you; your negotiating position is kept confidential. I help you decipher complex contracts, negotiate on your behalf, and fully disclose important information about the property. From the initial introduction, to the move in or move out date, I am with you every step of the way. As a Buyer , I make sure you are protected with proper subjects for you and the specific property of interest. I help you choose a lawyer/notary, professional home inspector, etc. I obtain minutes, bylaws, engineers reports, property information and forms as required. I do a Comparative Market Analysis to make sure you are not overpaying for the home. Getting you in the right home for the right price is my priority. As a Seller, I make sure we price your home correctly, help you prepare your home to show beautifully and find the right pre-qualified buyer. Security is very important and I treat your home as I would my own. Constant marketing, showings, open houses, and more are all part of my professional services." 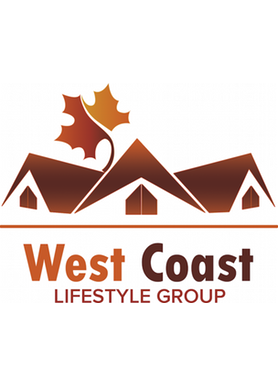 Hi West Coast Lifestyle Group, When I was browsing http://realestatechannel.ca I found your profile. Please contact me about your services. Thank you.